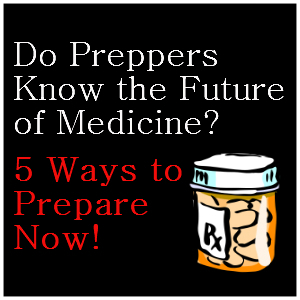 Do Preppers Know the Future of Medicine? 5 Ways to Prepare Now! In the context of preparedness, there are a lot of topics that come and go. I have seen a few trends and have researched topics that are important to me at various times in my journey. But one topic has been important to me since the beginning, the topic of health and medical preparedness. I feel it is easy (or easier) to learn about building shelters, starting fires, purifying water, etc… But for most of the world who lives outside of preparedness and many of us who are becoming more prepared, health and medical preparedness is something that is a little scary. The main reason that health and medical preparedness is scary, outside of obtaining gear and meds is that we have grown up with the ability to go to the doctor whenever we are sick. We have come to the belief that since doctors have all this “education” and “knowledge” that they know exactly what we need when we are sick. So, preparing can seem a little daunting if we don’t have a medical professional in our midst. I mean, you can purchase all the gear and meds you want on Amazon. But if you don’t have someone who has the “knowledge” of how to take care of you, what are you going to do? Not too long ago in our history, we didn’t have modern medicine, hospitals, specialized doctors, etc… Many ailments and sicknesses were taken care of at home or someone in the town/village knew how to help. People learned what to “look-for” and prepared home remedies and used common sense to help their loved ones get better. Today, we run to the doctor for every little sniffle and get antibiotics, even when we don’t really need them. We’ve lost that “common sense” and the “look-fors” and most importantly, those home remedies. It’s time to get it back! A lot of medical preparedness is based on a SHTF scenario. The idea is that you are caught out in the middle of nowhere and someone needs medical attention OR the Poop has really Hit the Fan and you are now MadMax. But I feel that with our current medical situation; the AFFORDable CARE Act coupled with the economy and what people can really AFFORD, that more and more people are going to think twice about going to the doctor and are going to become more interested in home remedies and that “common sense” that is not so common. I believe that the second preparedness website that I ever visited was Dr. Bones and Nurse Amy’s Doom and Bloom website. I feel I have learned a lot from their material (see more below). I can also say that I have spent time with them and they are legit, not out to make a buck! But I also read articles and watch videos from others in the medical preparedness niche. 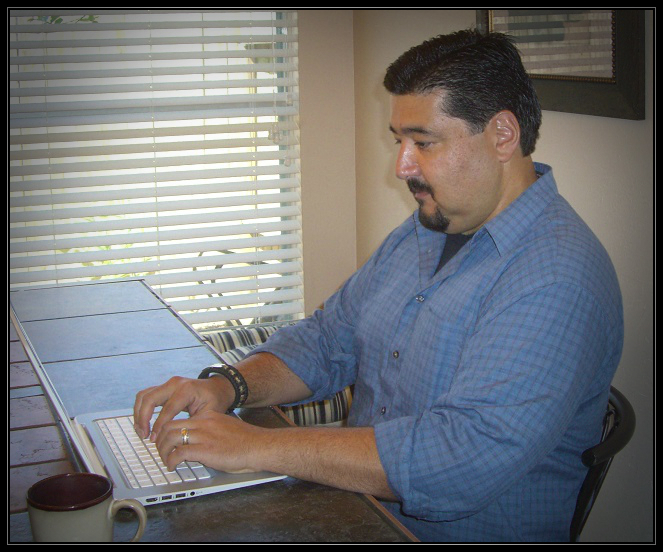 As a result, some of the biggest tags at Prepper Website are the medical and health tags. You will find pages and pages of medical preparedness related articles there. 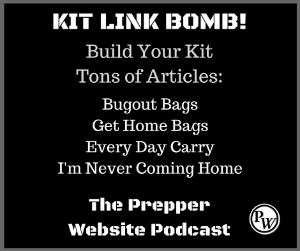 You know that if you visit a link from PW, that it is coming from a preparedness website and not a random site on Google. Supplies will run out. But while you can, it is prudent to stock up on supplies. There have been many articles on stocking up at dollar stores. I have purchased some things from dollar stores. But for me, Amazon is my friend. I think you need to be strategic and make smart purchases. So you should also look for sales. I do have one of the big medical kits from Doom and Bloom. A friend of mine who is a nurse at a hospital was very impressed with the kit. I have also made my own smaller kit to take with me, which is much easier to carry than the big medical kit. But you shouldn’t be satisfied with just a few medical kits. Here is an article with medical kit supply inventory lists that can help point you in the right direction. I know I’m the biggest Doom & Bloom fanboy here, but you need to get their Medical Survival book. It is a must! Dr. Bones and Nurse Amy write for when the SHTF. Many others give advice and then say, “seek medical assistance.” But one of the reasons we are interested in medical preparedness is for when there isn’t any medical assistance. I have also picked up books at Half Price Books. Most of the ones I purchased where in the clearance section and were purchased for just a few bucks! You can also find FREE books online. For example, Where There is No Doctor and Where There is No Dentist are free downloads, if you take the time to download the individual chapters. If you have a tablet or a laptop with the Amazon Kindle App, you can find free books to download. Gaye Levy, over at Backdoor Survival, usually posts about FREE Kindle books on her Facebook page. 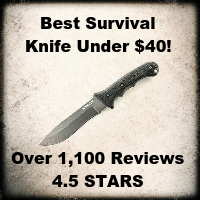 Another Facebook page that shares FREE Kindle books is Preparing for SHTF. Before there was modern medicine, the world used natural herbs. It is pretty amazing when you start to research the healing properties of many of the things we only use to cook with. If you think about it, most medicine is a derivative of something found in nature, which means you can grow a lot of what you need yourself. When my throat starts feeling soar, I start taking a honey, lemon and garlic mix. 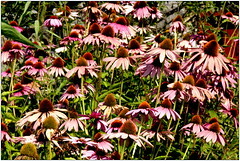 Recently, when I started to feel run down, I remembered a Hot Echinacea Tincture that I purchased online from Frugally Sustainable. This stuff is HOT! So I couldn’t take it straight. But I mixed two droppers in a cup of Chamomile tea and honey. I drank the tea and tincture in the morning, at work and in the evening. I also used some essential oil on my feet at night and after two days, I was a lot better! I’ve made the tea and tincture for others, but it is hard for them to truly believe that it works. It does! And now that I’m a little more familiar with herbs and etc… I can make it myself. I have also recently found an ebook that looks very promising. Surviving with Nature by Melissa Bull has over 1200 alternative remedies for 79 ailments. At this time, the ebook is very affordable. 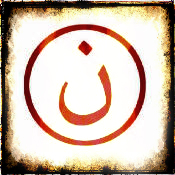 I spoke a little about it in one of my sermons not too long ago. But my tablet is full with many other ebooks on natural remedies, many of them free. If you want to research herbs and natural remedies, you can check out these TAGS on Prepper Website: herbs, herbal and natural remedies. Essential oils are finite. Just like medical supplies, they will run out. But a little goes a long way and they are easy to store! Again, it’s hard to believe that a little oil rubbed on your body is going to make a difference. But I’ve become a believer! My wife suffers from headaches, so she has been using Peppermint EO on her forehead and on the back of her neck. I have also used EO’s when I wasn’t feeling well. I used Thieves, a germ fighter EO on my feet and put on some clean socks before I went to bed. I’ve started to do it with my kids too. As I’ve researched EO’s, I’ve decided to become an affiliate with Spark Naturals. I rarely work with affiliates because they are a hassle. But this is something I believe in. I hope to share my experiences here and on Your Preparedness Story the more I learn about EO’s. If you are interested in purchasing Essential Oils, you can get 10% off Spark Natural EO’s by using the coupon code: prepperwebsite at checkout. As I mentioned, I believe that common sense medicine is going to become more and more relevant in our near and distant future. Those of us who are learning and practicing ancient/common sense or whatever you want to call it medicine, might be in a great position to help others in need. This just might be the future of medicine. 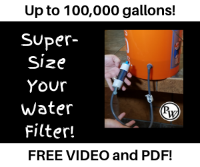 The Best Preparedness Moves You Can Make Right Now for FREE! I agree with all of your points. I would also stress sanitation and personal hygiene as the first line of defense against getting sick. You don’t have to be hyper clean like an out of control soccer Mom but soap and water go a long way in staying healthy in the first place. When people are seriously sick or badly injured, there are two mistakes that will finish the job: doing too much or doing too little! Severe vomiting and diarrhea will dehydrate a person very quickly. Children, the elderly, and chronically-ill are most susceptible. Respiratory infections leading to secondary pneumonia fall right behind. These are two common problems, whenever numbers of people are housed in close proximity such as a shelter. Both can be managed by relatively untrained persons who have taken the trouble to gain some rudimentary knowledge. I totally agree with Mike regarding Dr. Bones and Nurse Amy. I had the good fortune to meet them and acquire, “Doom and Bloom Survival medicine Handbook”. There are a number of publications that do not rise to that level of quality but may be of value. One that I have had for many years is” US ARMY Medical Handbook-ST 31-91B. It is designed for Special Forces medics and as a former Navy Hospital Corpsman, i have found it useful. It is very detailed and may be daunting for some. It can be picked up at gun shows or ordered from. you guessed it-Amazon”. Learn as much as you can about medical/dental problems among your group members, including what to do when TSHTF! Children are not small adults when it comes to medical care and this needs to be a primary consideration, if you are going to attempt to treat them. BTW – My dad was a Navy Hospital Corpsman during Vietnam!